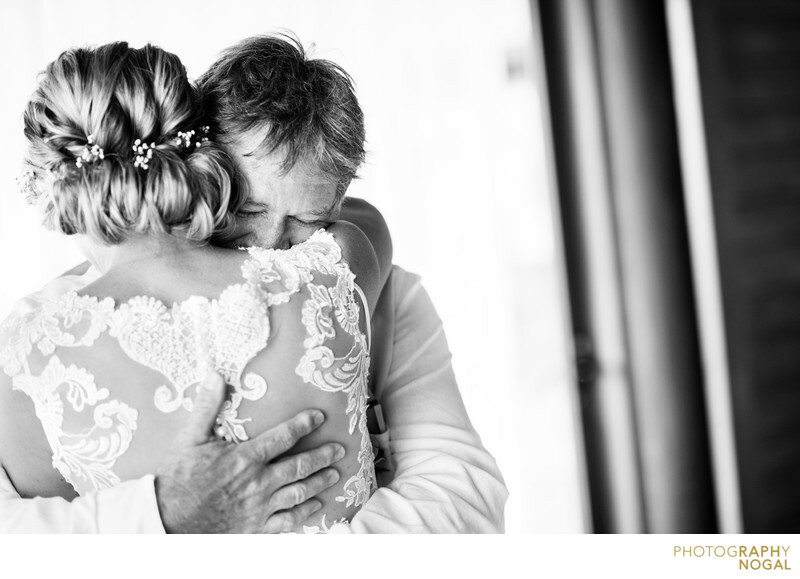 This was a beautiful moment when the Bride's father saw her for the first time in the Wedding Dress. A beautiful and long hug ensued. This image was taken at a destination wedding at Panacea Resort in Koh Samui, Thailand.